June is National Alzheimer’s & Brain Awareness Month. Alzheimer’s is a chronic neurodegenerative disease that typically starts with early symptom such as short-term memory loss. As the disease advances, possible symptoms include impaired judgment, disorientation, confusion, behavior changes, and difficulty speaking, swallowing, and walking. Today worldwide, 47 million people are living with Alzheimer’s or other dementias. With all of those symptoms it is easy to understand that three out of five people with Alzheimer’s will wander, putting themselves in danger. If that isn’t bad enough, if the individual isn’t found within 24 hours, 50% suffer serious injury or death. Alzheimer’s disease is the sixth leading cause of death in the United States; it is the only top ten cause of death that cannot be prevented, cured, or slowed down. 60% of those with Alzheimer’s wander. When it comes to a wandering loved one with Alzheimer’s, every second counts. Lassy Project is creating the world’s largest network of community members that reinforce safety. Lassy Project is a free smartphone app that allows parents and guardians to notify an entire local community about their missing loved one in seconds. With the single push of a button that sends a text alert with the missing person’s picture and last known location, people can mobilize a trusted group of family, friends, and neighbors to form an instant search and rescue team. This network of community members that opt-in to receive Lassy alerts are the most important asset users have should a loved one go missing. To help make Lassy Project successful and build safer communities, download the free app for your iPhone or Droid, or register at LassyProject.com. Download and register the free app from your app store. No smartphone? No problem! Register at LassyProject.com. Create a profile for each of your children or at risk adults. Build your safety network by inviting your family, friends and neighbors. Should your loved one ever goes missing, simply open the app and alert your network to form an instant search and rescue team. Once an alert has been issued to your network, Lassy Project will contact you to determine if a larger alert to the surrounding local community is needed to help in the search. This is why it is vital that everyone with a heart and a cell phone downloads and registers the Lassy Project app. You never know when a someone in your community may need your help to look for their loved one. Own or manage a retirement community or senior center? Your work and the care you provide to the residents in your community takes a lot of passion, understanding, and kindness. By partnering with Lassy Project, together we can expand your services to provide peace of mind to your community that their loved ones are safe. Lassy Project enables caregivers as well as individual residents to instantly notify a network of trusted people via text message should any problem arise. Offer your residents and their families more than just compassion, kindness, respect, and understanding. Offer them a guarantee of safety as well. With Lassy Project, caregivers along with individual residents can instantly notify a network of trusted people via text message should any problem arise. Contact SeniorCare@theLassyProject.com for more details. June is National Alzheimer’s and Brain Awareness Month. Alzheimer’s is a chronic neurodegenerative disease that usually starts with early symptom such as short-term memory loss. As the disease advances, possible symptoms include impaired judgment, disorientation, confusion, behavior changes, and difficulty speaking, swallowing, and walking. Every 68 seconds, someone in America develops Alzheimer’s. By mid-century, someone in America will develop the disease every 33 seconds. With all of those symptoms it is easy to understand that three out of five people with Alzheimer’s will wander. If that isn’t bad enough, if the individual isn’t found within 24 hours, 50% suffer serious injury or death. Alzheimer’s disease is the sixth leading cause of death in the United States; it is the only top ten cause of death that cannot be prevented, cured, or slowed down. As the large Baby Boomer generation approaches their retirement years, the population at risk or Alzheimer’s increase. By 2025, the number of people age 65 and older with Alzheimer’s disease is estimated to reach 6.7 million. This is a 30% increase from the 5.2 million age 65 and older currently affected. As doctors and scientists work hard to treat and cure Alzheimer’s, we can work hard on keeping them safe now. When it comes to a wandering loved one with Alzheimer’s, every second counts. Lassy Project is creating the world’s largest network of community members that reinforce safety. Our technology gives people the power to alert their communities and form an instant search and rescue party in seconds. Click here to Join Lassy Project. 2. Stay Hydrated – water is the best way to prevent dehydration in the heat. 3. Be Splash Safe – never swim alone & always have an adult near by. 4. Stranger Danger – never leave a location with a stranger. 5. Be Bike Safe – always wear a helmet when riding a bike. 6. First Aid – have a fully stocked first aid kit easily accessible in your home or car. Lassy Project™ is making Longmont, CO safer for our kids and equipping residents with the tools they need to build a safer community and prevent child abductions. Longmont, CO – Lassy Project™, a free smartphone app that helps to keep kids safe, and the City of Longmont including all city employees and the Department of Public Safety, which is comprised of Police, Fire, Communications Center & Office of Emergency Management, are partnering to give Longmont residents the peace of mind that their children can travel safely throughout the community. Lassy Project™ is a free app that allows parents and guardians to build a network of trusted neighbors, friends and community members. Should a child ever go missing, the Lassy Project™ app provides parents the ability to press a button and mobilize their network or the larger community in seconds to form an instant search and rescue team. The City of Longmont has now made Lassy Project™ a standard app on their city issued phones and is encouraging the entire city staff to take the necessary steps to register and use the app. 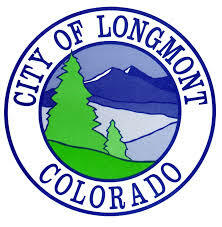 On February 25, 2014, the Longmont City Council voted unanimous to back and support the Lassy Project™ and help grow the project in the Longmont community to keep their kids and residents safe. During the week of May 5-9, 2014, the Lassy Project™ team have spoken with and trained the Longmont Police Officers on how to best utilize the app and encouraged the steps necessary to register the app on each of their phones. On March 31, 2015, the Longmont City Council will read a proclamation declaring the month of April as Lassy Project Child Safety Month. In this collaborative project, the City of Longmont and Departments of Public Safety are helping to register as many members of the Longmont community as possible for Lassy Project™ – including parents, school officials, community members, first responders, and local businesses. The goal is to reach over10,000 Longmont residents and create the safest city in America. To register for Lassy Project™, simply download the free app for your iPhone or Droid, or visit www.theLassyProject.com. Lassy Project™ (www.thelassyproject.com) is a free smartphone app that allows parents and guardians the ability to notify an entire local community about their missing child in seconds. With the single push of a button that sends a text alert with the child’s picture and last known location, parents can mobilize a trusted group of family, friends and neighbors immediately to form an instant search and rescue team. This network of community members is the most important asset users have if a child goes missing. To help make Lassy Project™ successful and build a safer community, download the free app for your iPhone or Droid, or sign up at http://www.thelassyproject.com. Lassy Project is creating a new standard. We have developed a solution that allows parents to notify an entire local community about their missing child in seconds. Follow the instructions below to get started, and welcome to the Lassy Project. A common misconception is that you must have a smartphone to utilize our free services. This is NOT true. Any person who has a cell phone with text messaging capability can receive notifications when a child goes missing in their area. Simply go to thelassyproject.com to sign up for an account. You can sign up through your Facebook account, or manually. If you have a smartphone, you can download the free Lassy Project app to your iPhone or Droid and login with the same information you entered on the website. Read below for details, or simply click on the links above to skip ahead to a particular section. 1. Unique Link: Use the unique link provided on the Home page and send it to your contacts via text message, social media or email. When someone visits this link then signs up (or logs in) they will automatically be added to your personal village. 2. Facebook Messaging & Sharing: You can choose to send a private message to ask specific Facebook friends to join your personal village, or you may simply share Lassy Project on your public Facebook wall. If you choose the private message option, your Facebook friends will be invited to join your personal village via your unique link. When they click on this link and set up their own Lassy Project account they will automatically join your personal village and you will be added to their village as well. 3. Friend Connections: This feature allows you to view other Facebook friends who have joined Lassy Project. You can quickly add these friends to your personal village with a single click. Friend connections can be found on the left-hand side of the home page. Please note that once you click on ‘Add to Your Village’, these friends will no longer appear in the left-side menu. They will then be viewable in your Villages section. To manage your village and other villages you have joined, simply click on the ‘Villages’ button, located on the left-side menu. From the ‘Children’ page, you can create and manage as many child profiles as needed. Upload your child’s photo and add vital information that will help others search for your child if necessary. These profiles can be updated at any time. Should your child go missing, you can send an immediate alert to everyone in your village. From the ‘Escalate’ page select the missing child to get started. Next, set the child’s last known location by entering an address or dragging the map to the desired location, then click ‘SET LOCATION’. On the next screen confirm the child details and , click “ESCALATE ALERT”. The alert will be sent via text message to your village. They will receive your child’s photo, last known location and vital information. Pictured below is the the alert your personal village will receive. By clicking on ‘Spread the Word’, villagers can quickly and easily post the open alert to their social media feeds to notify as many people as possible about your missing child. The more people who know your child is missing, the more likely they are to be found and returned home safely. Every second counts. To close an open alert, log in to your account at thelassyproject.com where you can view all open alerts from any page. Once logged in you may view and close alerts to notify your friends, family and community members that your child has been found. As soon you close the alert, the child profile photo and data is no longer visible. The Lassy Project is creating the world’s largest network of community members that are helping to prevent child abductions. Spread the word and help us build safer communities.